Watching the Seasons of DragonBall Z animation. This was one of my favorite parts of the animation. 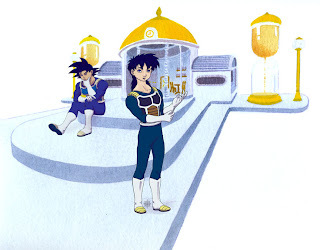 Goku and his son Gohan train to get to the next level, and save the world.